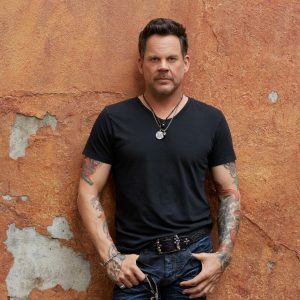 Gary Allan‘s Nashville boutique, The Label, is set to hold a pair of truck shows this week, to show off designs from Allan, along with Florida Georgia Line stylist Gina Ketchum and designer Debe Dohrer. Located at 2222 12th Ave. S., The Label will host the shows on Wednesday, June 8 from 6-8 p.m, as well as Friday, June 10 from 4-8 p.m.
Allan’s new jewelry line, designed by Allan himself, includes rings and pendants with diamonds, black diamonds, garnets, emeralds, rubies and more, cast in silver and custom wax. The trunk shows will feature suits, shirts and jewelry from Debe Dohrer Design along with custom feather jewelry including earrings, necklaces and cuffs from designer and stylist Gina Ketchum. Allan and Dohrer will be on site on Wednesday, June 8 to discuss the lines with customers, while Ketchum and Dohrer will be available at the June 10 event. It’s been over a year since Gary Allan released “Hangover Tonight,” the R&B-tinged tune that served as the first taste of an upcoming album. And though that album still waits in the wings, we now we finally have the “Hangover” sequel. “Do You Wish It Was Me?” is the title of the California native’s latest song, which will go for radio adds June 13th. It sticks to the uptempo, groove-fueled vibe of “Hangover Tonight,” just with a woman, rather than whiskey, providing the poison. Co-written by Allan, Jonathan Singleton and Andrew Dorff, the song finds its narrator hoping that a lady is secretly longing for him the way he is for her. The smoky-voiced singer recorded the track with his touring band, to give it more of a live concert feel. While we continue to wait for his tenth studio LP, Allan will test some of its songs out on the road this summer. After a hometown show at the CMA Music Festival, his summer calendar is packed with coast-to-coast gigs. Check out his tour dates HERE. Listen to ‘Do You Wish It Was Me?’ video posted above.